Turns out, many women in Japan have been struggling to enjoy their juicy burgers like they were intended to. 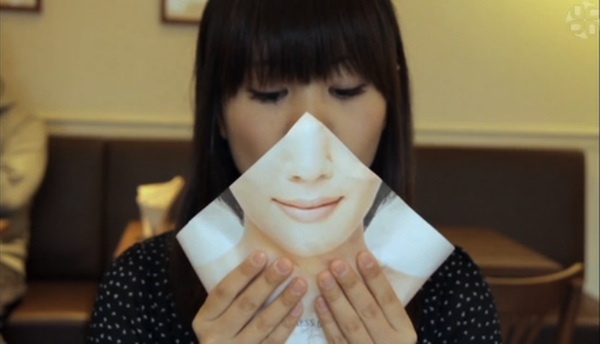 Having "Ochobo" -- a small and modest mouth -- has long been the trend for Japan's female population, as it's regarded as being cute and attractive. Unfortunately, this makes it difficult for ladies to enjoy a double bacon cheeseburger to its fullest potential. Popular Japanese burger chain "Freshness Burger" recognized this plight when they discovered that their female customers were least likely to order up their largest and apparently best tasting, Classic Burger. 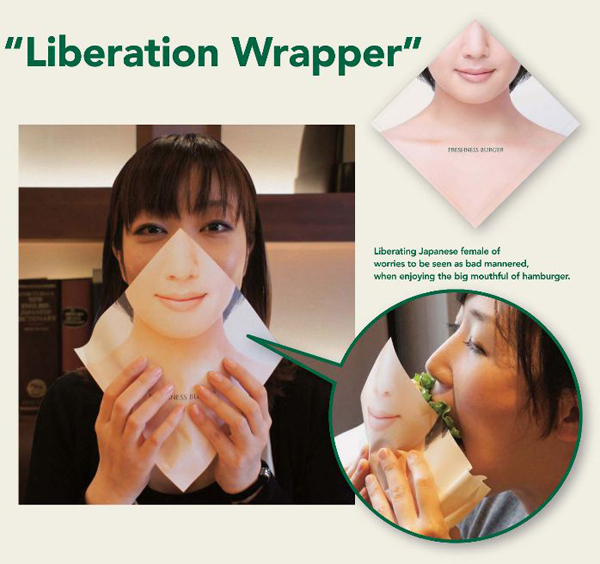 Looking to make life a little bit easier for their female clientele, the chain launched the "Liberation Wrapper" to mask a woman's mouth while eating. 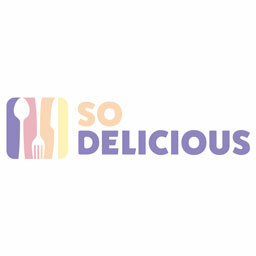 With this new burger packaging, which features a closed-mouth smile, women could now get the mouthful they so desired without the fear of public disapproval. Since switching up their wrappers, Freshness Burger has seen a 213% increase among women ordering their biggest patty.